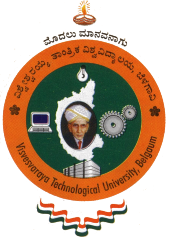 VTU is one of the biggest Technological University in India, having 201 colleges affiliated to it with under graduate course in 28 disciplines and PG Program in 71 disciplines. The intake at UG level is about 67100 students and at the PG level it is about 12666 students. The University has 13 QIP center in various affiliated colleges and 16 extension centers for offering PG programs. There are over 2305 departments recognized as research centers. At present over 1800 students / faculty are registered for Ph.D degree and over 180 students are registered for their Msc.. (Engg). This year the University is awarding 120 Ph.D Degrees and 50 M.Sc (Engg) Degrees. The Faculty has published around 694 research publications in the year 2009-10. The University has recently started MBA and M.Tech. Program at Belgaum with about 205 students studying in all. Sixteen from among the affiliated colleges were recognized to get assistance under the World Bank supported. TEQIP program in the I Phase. 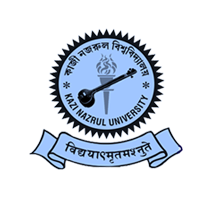 This year as a novel measure academic autonomy has been provided to 17 affiliated Colleges after due processes.The University has very successfully achieved the tremendous task of bringing various colleges affiliated earlier to different Universities, with different syllabi, different procedures and different traditions under one umbrella. The University implemented common curriculum for UG in 1998 and revised syllabi again in 2002 for all the courses and uniform procedures were adopted. As a further step in standardization, the subjects & syllabi of related branches are being made common upto the fourth semester. The University has already revised the syllabus of MBA with effect from the academic year 2001-2002 and has now revised the syllabi of all M.Tech courses & MCA. The University plans to bring in further flexibility in the curriculum, so that any changes or revisions may be introduced particularly with respect to electives, as and when the technology changes or the need arises. “To become an outstanding Technological University at the cutting edge of Science and Technology that produces world class Knowledge-delivery, Research, Extension and Leadership in Technology innovation for Industry and Society”. To plan the development of technical education, to establish value-based and need-based education and training in engineering and technology, with a view to generate qualified and competent manpower, responsive to technological and societal needs”. The West Bengal University of Health Sci..
Kavi Kulguru Kalidas Sanskrit Vishwavidy..